Posted 5th July 2016 & filed under Blog, Intergenerational Justice. 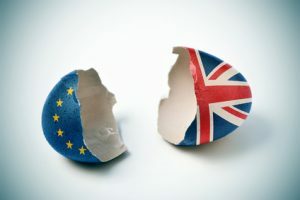 It’s been nearly two weeks since Britain’s voters went to the polls for the historic vote on the future of our relationship with the EU, and the ramifications of the result are still convulsing British politics. The significant differences in how particular social groups voted have brought renewed attention to the divisions fracturing British society – between north and south, rich and poor, and especially old and young. On this last point, much attention has been focused during the aftermath on the idea that young people were in a sense “robbed” by older generations, because although younger voters overwhelmingly favoured Remain, low turnout among the young meant their votes were nullified by older voters who turned out in much higher numbers and leaned heavily towards Brexit. Young people are being forced to accept a Brexit scenario, this argument goes, which the majority of them didn’t vote for, but that they will have to live with for far longer than most of the older people who did. With some widely-cited figures suggesting that turnout among the young may have been very low, some have even blamed young people who complain about the referendum’s outcome for not bothering to have their say when it really mattered on referendum day. Yet somewhat lost in the flurry of comment which has followed the Brexit vote has been the fact that what we know about how specific groups of people voted – especially young people – is actually very limited. Already, some new evidence (discussed in Part 2 of this blog post) has appeared that suggests young people may have cared deeply about the result, and voted in large numbers – so were young people robbed? The EU referendum was somewhat unusual for a democratic event in Britain in that no exit polls were collected on referendum day itself. This means that, although we can put a basic figure on how many of the eligible voters in each counting area turned out to vote, what we know about who specific sub-groups of the population voted for and how many of them turned out is much less precise than it would be normally following a general election. Instead, we have to rely on opinion polls which were taken before and after the EU referendum using sample groups of just a few thousand eligible voters, the results of which have then been extrapolated to provide estimates of how different groups behaved en masse. The weaknesses of this method are, firstly, that people may either deliberately or accidentally misrepresent how they voted or whether they voted at all (although pollsters attempt to correct for this phenomenon); secondly, that it’s very difficult to get certain sub-groups of the population to participate in polls (an independent inquiry into the quality of polling data for the 2015 general election concluded that unrepresentative samples were one of the main reasons why those polls proved to be so inaccurate); and thirdly, the more diverse and socially fragmented British society becomes, the less realistic it is to try to estimate how large groups of people will behave on the basis of data collected from a small sample. Therefore we are forced to rely on a lot of educated guesswork when trying to judge how young voters might have behaved during the EU referendum. All polls use different methodologies and sample groups, so in order to spot the really interesting trends which are more likely to reflect reality, you need to look for patterns which multiple different polls agree on. Therefore the argument that young people who voted were much more likely to support Remain appears to be accurate because it was corroborated by several major polls. On referendum day itself, Yougov asked their sample group of 4,772 British adults how they had voted and found that among 18–24 year-olds, 75% of those who voted had backed Remain; this matches up with the findings from the Conservative peer Lord Ashcroft’s referendum day survey of 12,369 British adults, which found that this age group backed Remain by 73% to 27%. Interestingly, they did differ on the margin of support among the next youngest category of voters, Britain’s 25–34 year olds: Lord Ashcroft’s polls suggested almost two-thirds of them had backed remain (62%), while the Yougov figure was somewhat lower (56%). Both polls found that almost exactly 60% of voters aged 65+ had backed Brexit.